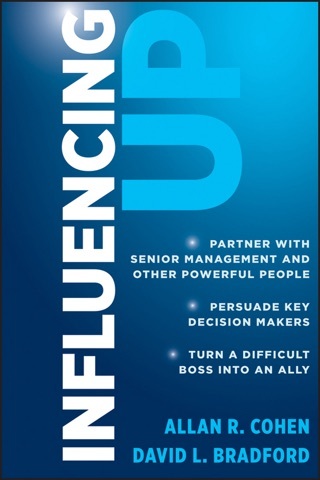 Influence Without Authority is the classic guide to getting what you need from people you don't control. Getting things done requires collaboration, and convincing others to contribute requires political skill; this book introduces the Exchange Model, in which you get what you need by offering something of value in return. The key lies in knowing what the other person values—that's their "currency," and it's your immediate tool for coaxing their cooperation. This model has been proven over decades, as organizations around the world have turned away from frustration and resignation toward collaboration and results. This book shows you how to implement the Exchange Model at the personal, team, and organizational level to raise the bar for performance and leadership. This new third edition has been updated reflect the changing face of the workplace, and includes new examples and information on geographically dispersed virtual teams. Supplementary materials facilitate classroom and training use with discussions, role-play, videos, and other ancillaries that deepen understanding and promote practical application. The ability to influence those not under your authority is becoming ever more valuable. Organizations are flattening, and outside contractors are taking on larger roles than ever before—getting results now means lateral cooperation, often across borders, time zones, organizations, and more. 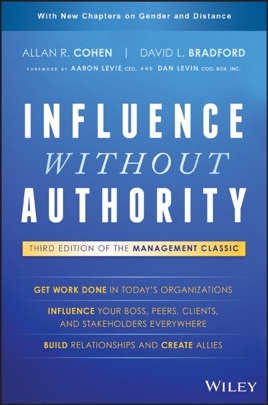 Influence Without Authority provides a proven model for success in this new environment, with expert guidance for real-world application.